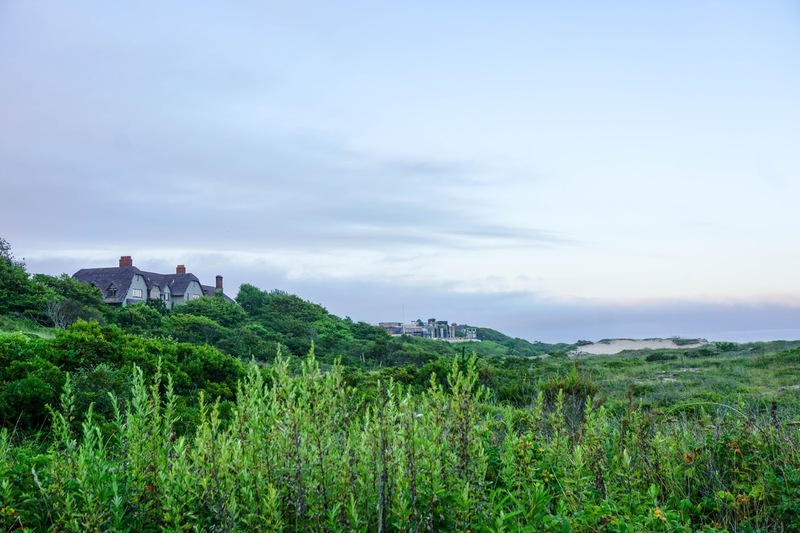 When it comes to the perfect summer getaway The Hamptons should be on everyone's bucket list. 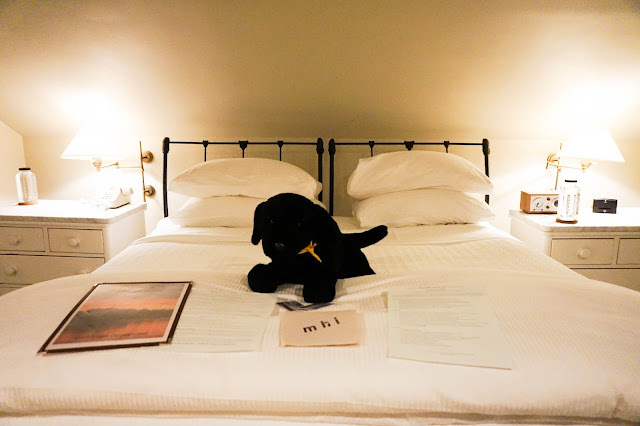 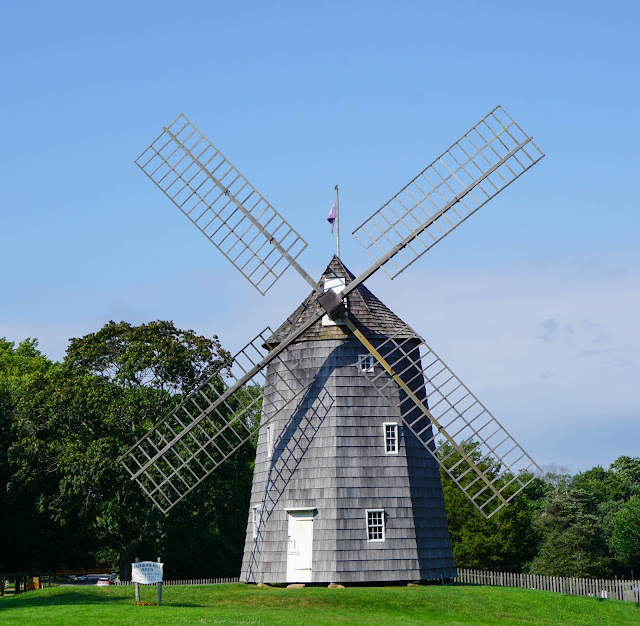 For our 2 year anniversary, we headed to East Hampton NY and stayed at the Mill House Inn. 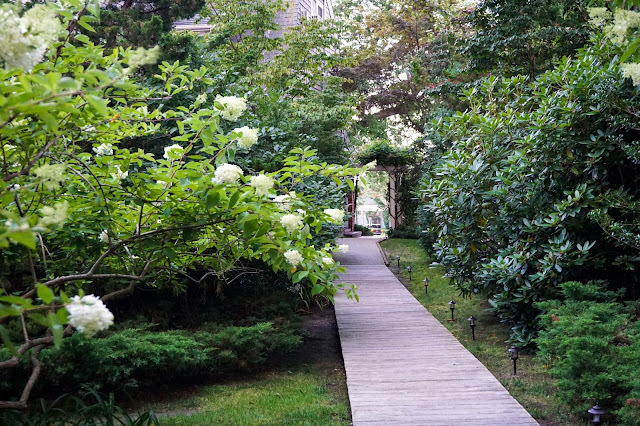 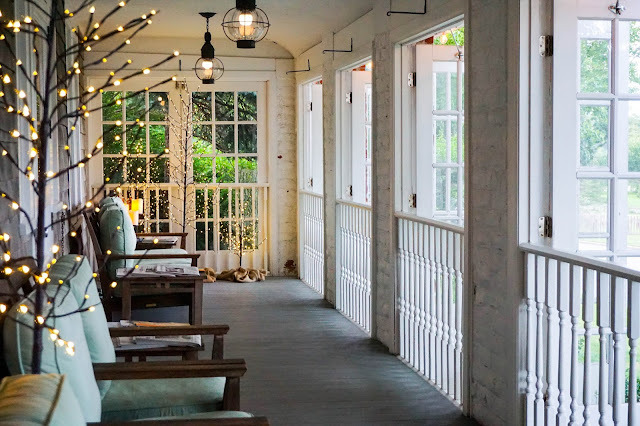 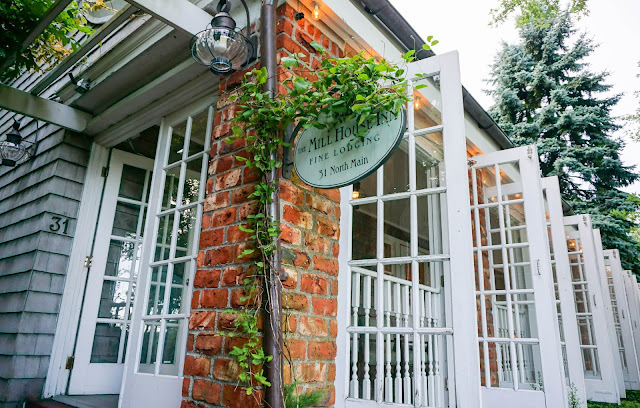 The Mill House Inn is the perfect embodiment of East Hampton. It is elegant, charming and filled with character. 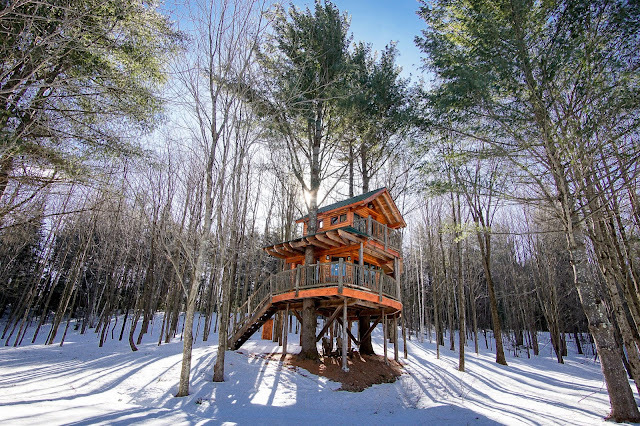 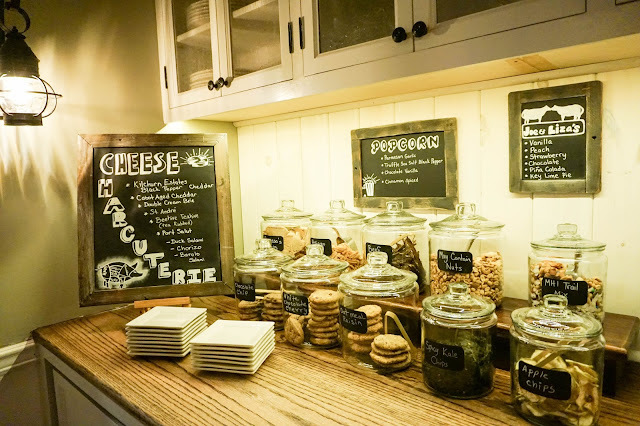 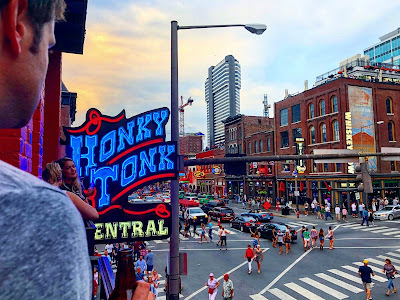 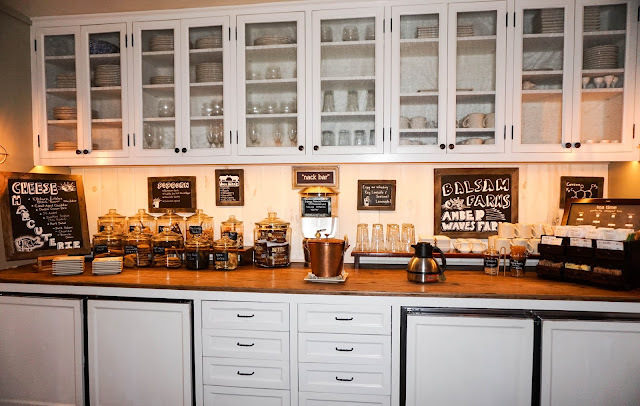 When we first arrived, we were greeted with a snack bar filled with homemade cookies, freshly squeezed juices, coffee, lattes and many other items to make you feel right at home. 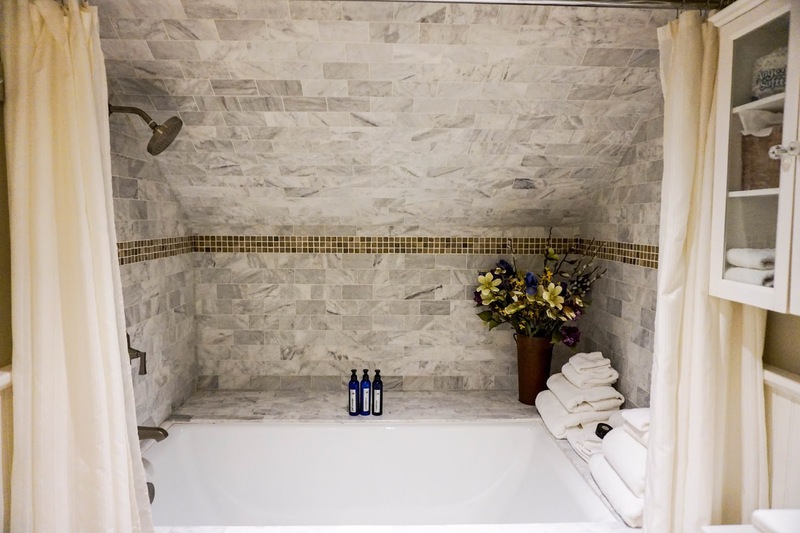 Our guest room was beautifully designed, featuring a huge bathroom with a soaking tub. 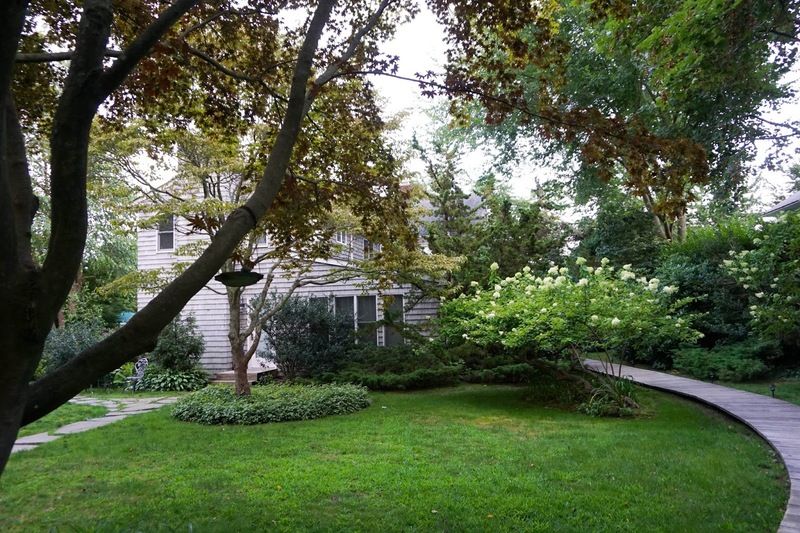 The location was perfect, as it was just a few minute walk to the many shops and restaurants of East Hampton Village. 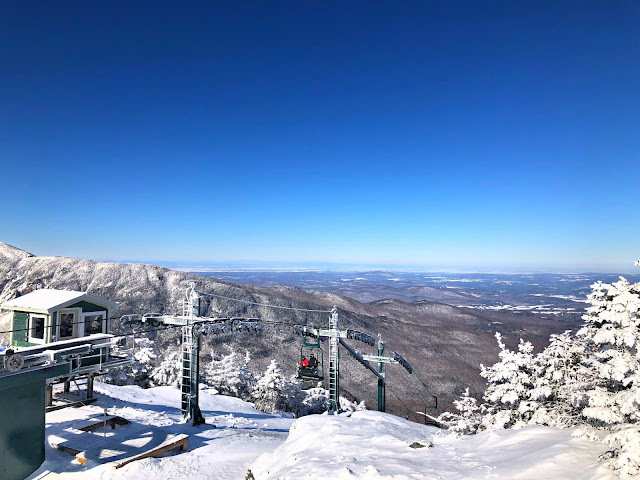 On Saturday, we set out for an adventurous day. 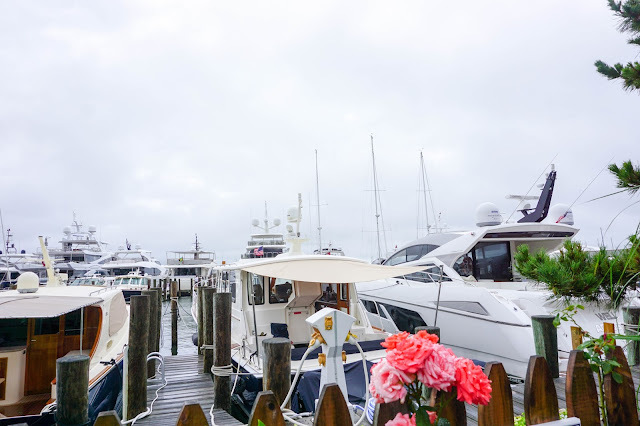 First we made a drive to Sag Harbor to walk around the waterfront and admire the giant boats and yachts docked along the water. 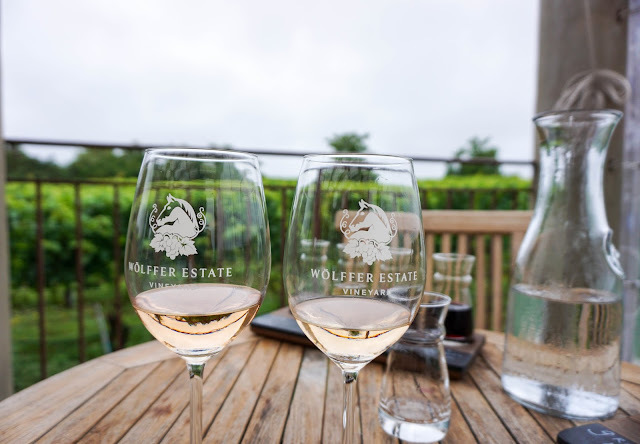 Next we stopped at Wölffer Estate Vineyard. 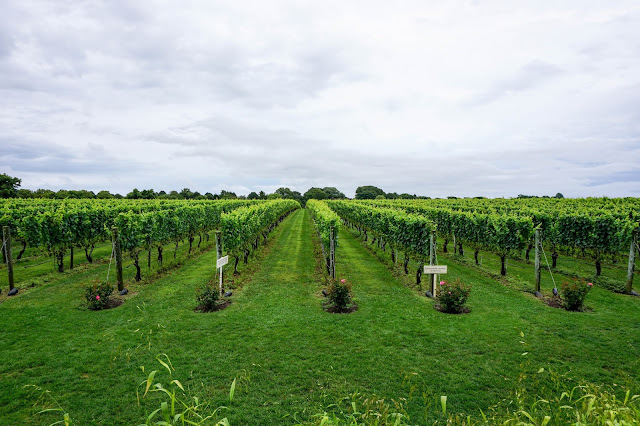 This was one of our favorite vineyards we visited on Long Island. They had an open air back patio overlooking in the vineyard, where you can sip your wine and soak in the atmosphere. 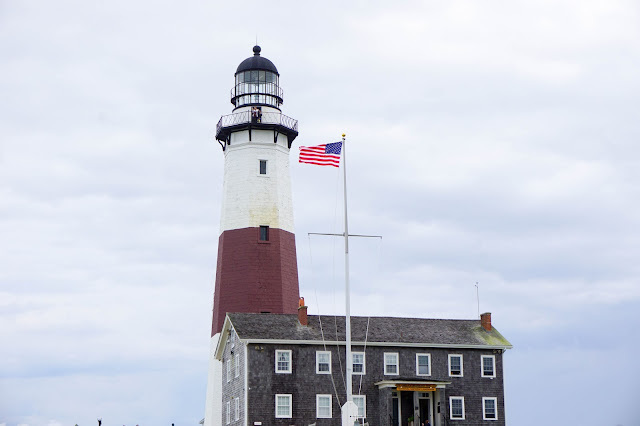 From there we made the scenic drive out east, down Route 27 towards Montauk. We went to the Montauk lighthouse to take a photo. 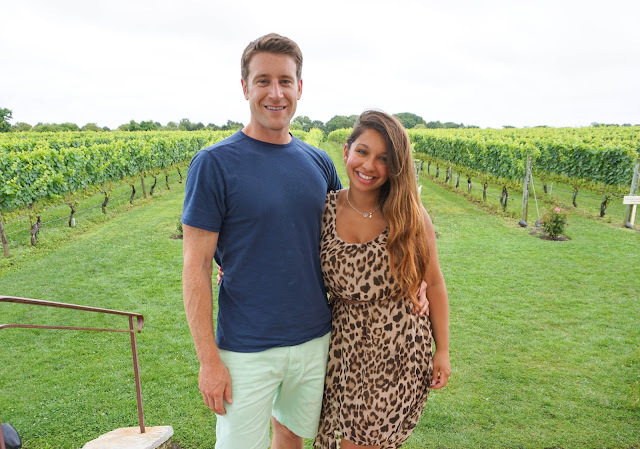 After we stopped at Montauk Brewery which is located in the center of town. 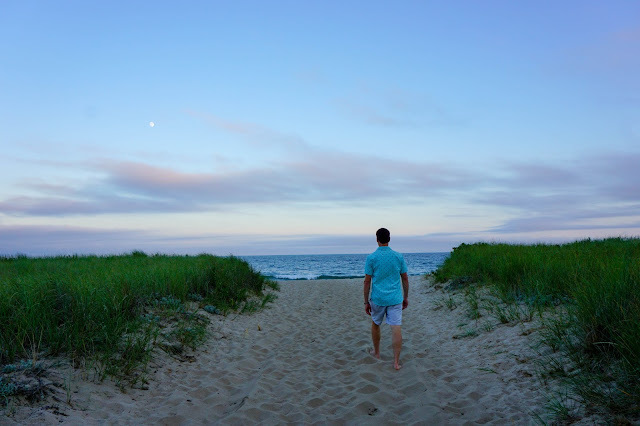 We then headed back to East Hampton for an evening on the beach. 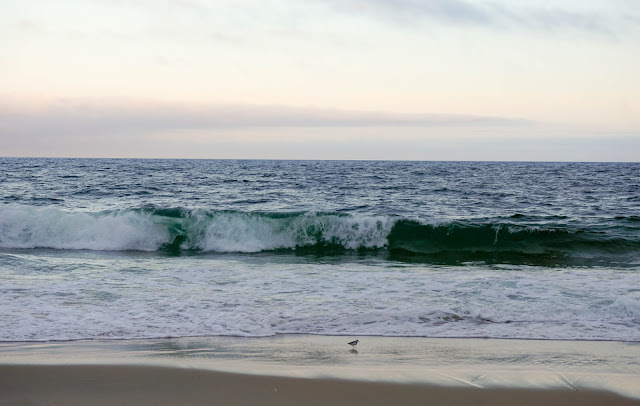 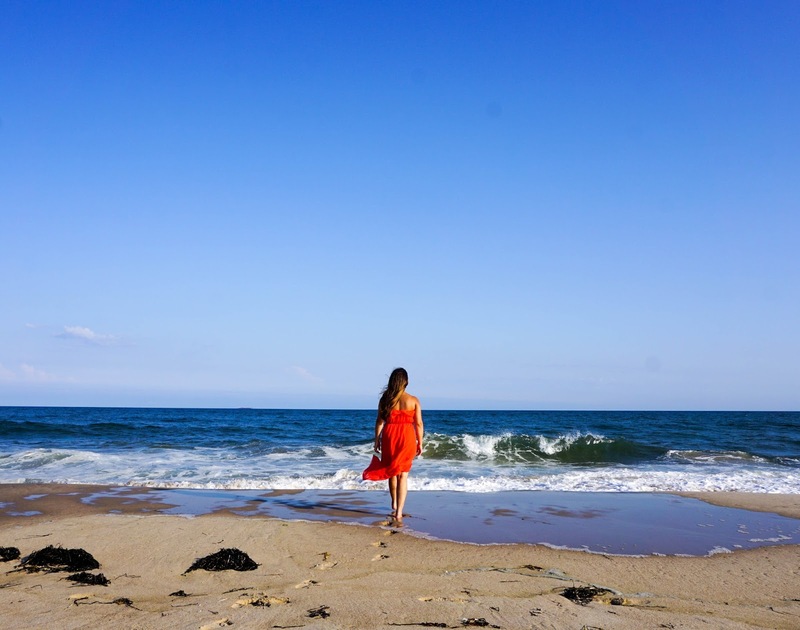 The inn provided beach passes for the private East Hampton beaches. 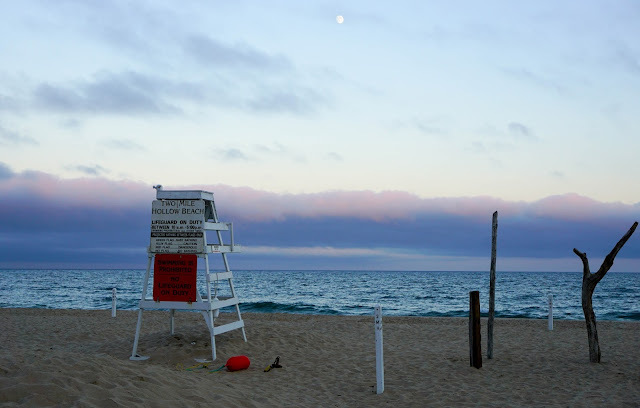 There are a long stretch of beaches just a few miles from the inn. The evening was the perfect setting at Egypt Beach. The sun came out and we pretty much had the whole place to ourselves. 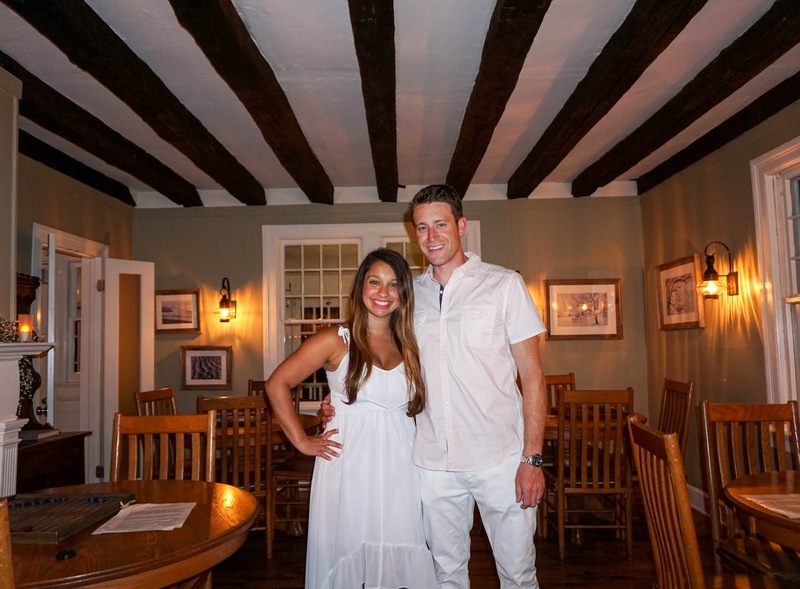 The inn provided all the accessories such as beach chairs and coolers, which was a big convenience. 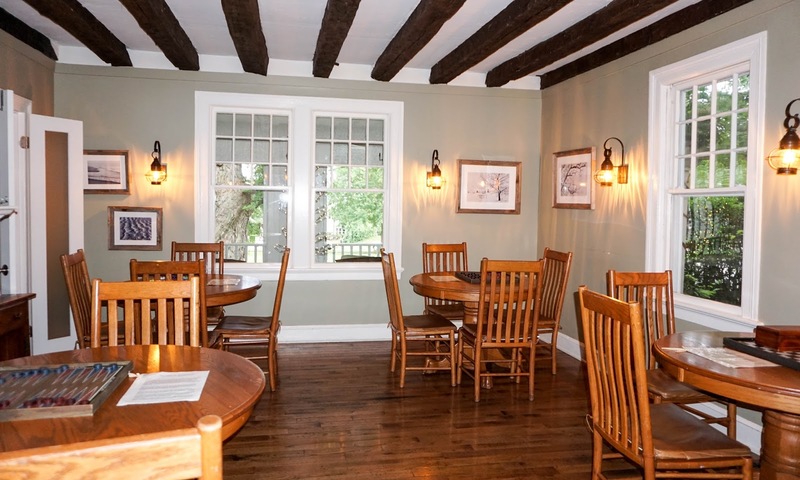 For dinner recommendations, we went to Rowdy Hall and CittaNuova, which is a quick walk from the inn and both were fantastic. 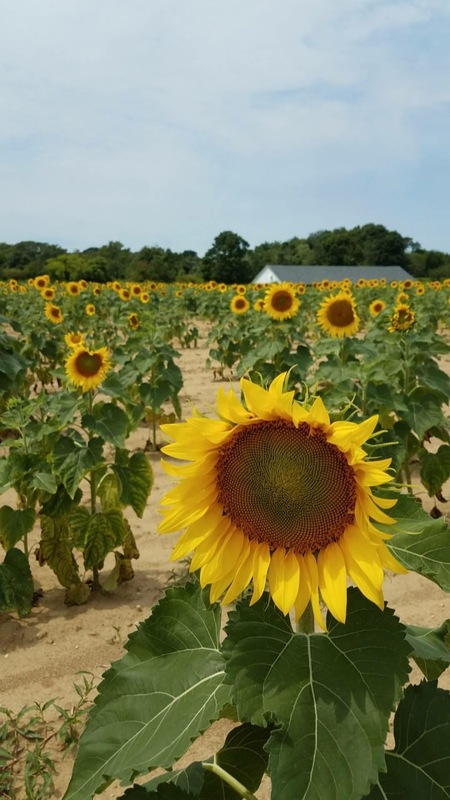 On the way back to the Orient Point Ferry on Sunday, we found a sunflower field off the side of the road that caught our eye. We stopped off for a few photos. It was the perfect way to end our anniversary weekend.